The "Kraken" wood splitter is the solution to handling large pieces of timber. The "Kraken" splits apart logs and stumps into manageable sizes. 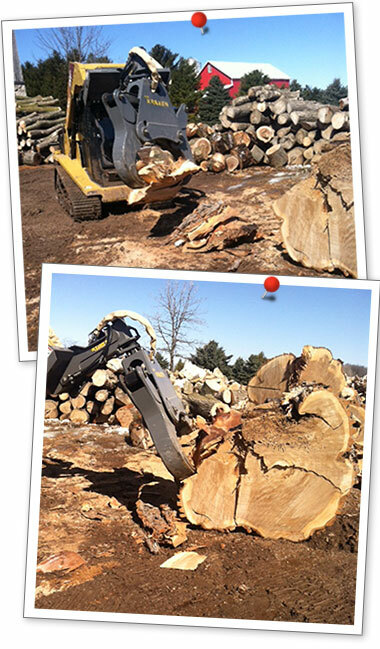 Now, timber that would have been left for waste, can be handled by a wood chipper or processed for firewood.